Home Tutions For All Subjects. 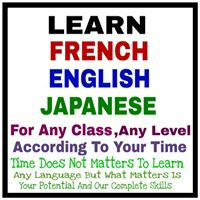 French diploma, Japanese diploma,And certification to study all subjects.
? available for all the classes.
? Tuitions for class Ist to xth.
? Complete your all syllabus and your holiday homework within your vacations.